Bow Glacier Falls was the waterfall draining the rapidly receding Bow Glacier, which fed the pretty Bow Lake. Keep in mind that this was not the same waterfall as Bow Falls by the town of Banff. 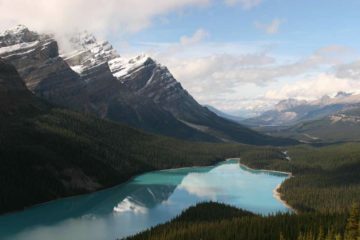 Indeed, the falls was well-situated as it was close by Bow Lake, the beautiful Peyto Lake, the Crowfoot Glacier, and also the reflections on the tranquil Waterfowl Lake. 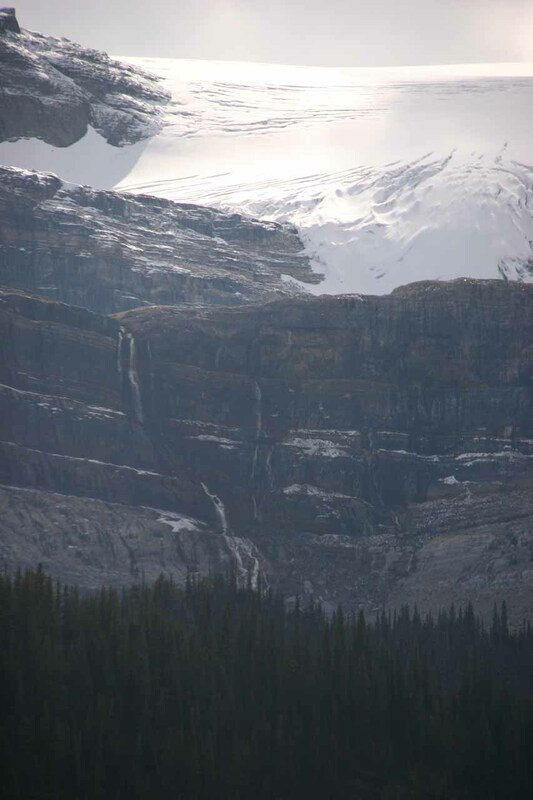 Given how much the glacier had receded in recent years, it was hard to believe that this waterfall probably didn’t exist when the Bow Glacier’s terminus licked Bow Lake. But when we showed up in September 2010, we needed a telephoto lens to try bring the falls closer to view. 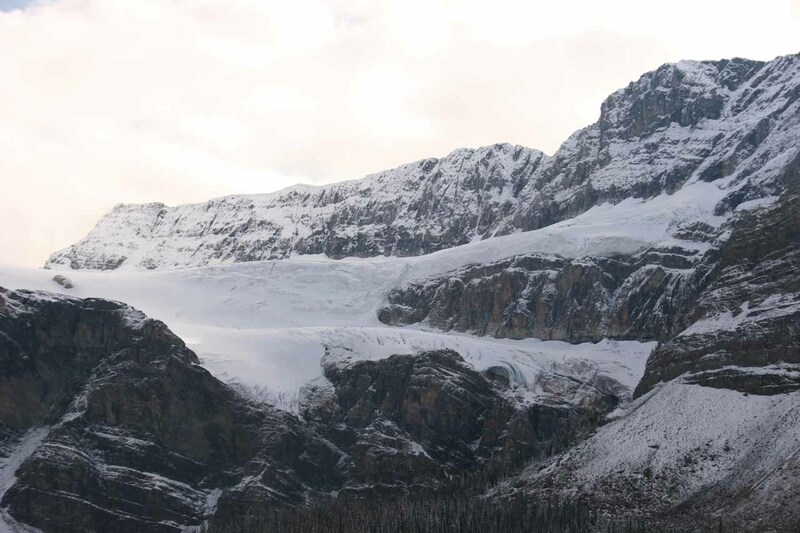 We wonder how much longer would it be before the Bow Glacier would disappear completely from view or just disappear altogether! I suppose we could’ve done a pretty strenuous 6-mile round trip hike to get closer to the falls while hiking the boulder fields (i.e. the glacial moraines) left behind by the receding glacier beyond the lake. 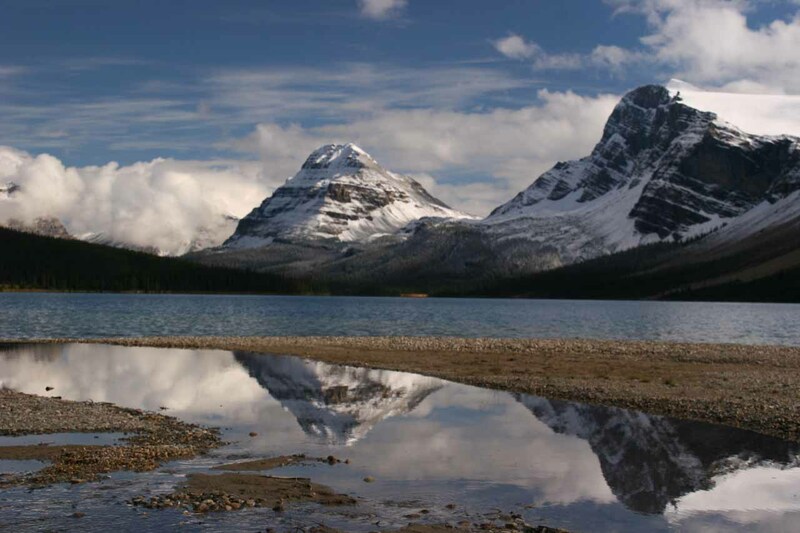 But given that we showed up late in the afternoon and the falls itself wasn’t particularly forceful (which I’d imagine would be the case during Canada’s warmest days in late June through August), we were content with the views from the lakeshore near the Num-Ti-Jah Lodge. 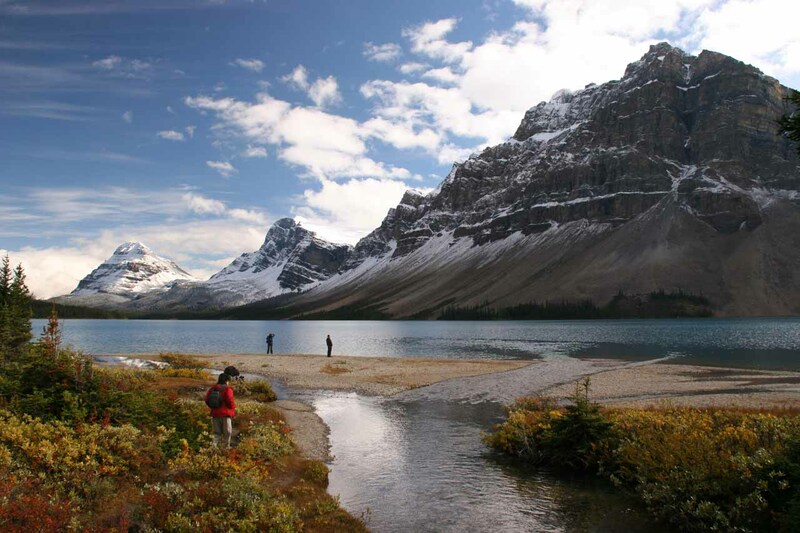 The walk from the Num-Ti-Jah Lodge to the nearest shore of Bow Lake took us only 20 minutes. 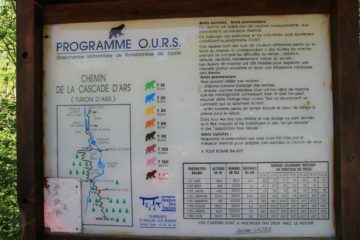 This included the walking and the photographing. 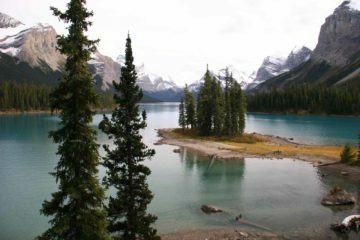 Speaking of Bow Lake, it added to the tranquility and ambience of the scene. 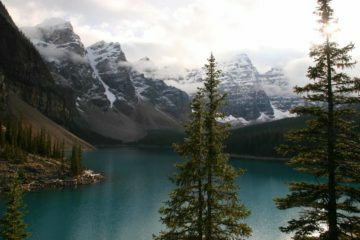 For it was here that we saw lovely snowy mountains rising high above the lake. 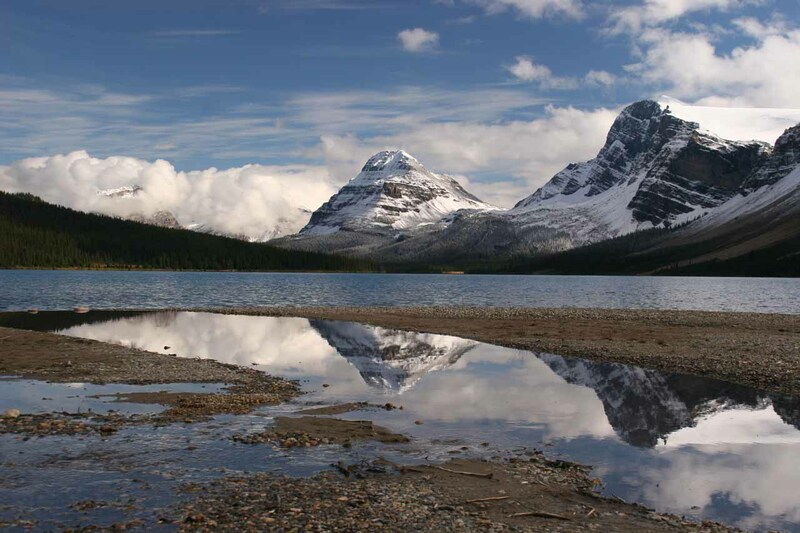 Even flanking the lakeshore were puddles providing mirror-like reflections of those same peaks behind the lake. I guess we were lucky with the timing as bad weather had recently started to clear up when we showed up. The only drawback with our timing was that the late afternoon sun was against us so we were looking into the sun while we were looking towards both the Bow Glacier and the Bow Glacier Falls. I’d imagine since the falls and glacier were east facing that morning would be a much better time to visit if the sun was out. If we’re fortunate to come back here, I intend to hike all the way to the waterfall for a greater appreciation of its size as well as the scenery on the way there. So in the mean time, the low score we gave it merely reflected our short visit and distant views with suboptimal lighting. I’m sure that score will change depending on how the return visit would go. 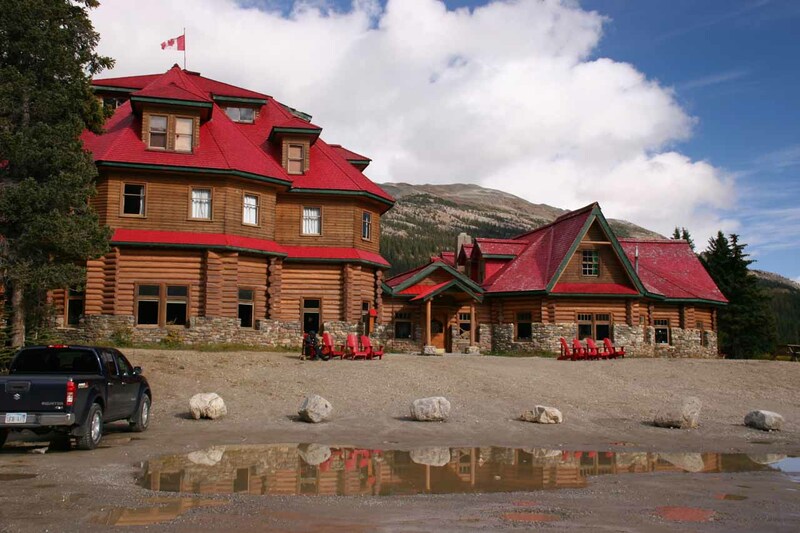 In order to see Bow Glacier Falls, we had to access the Num-Ti-Jah Lodge. The signposted turnoff for the lodge is by the 37km mark less than 10 minutes south of the signposted turnoff for Peyto Lake along the Icefields Parkway (Hwy 93). 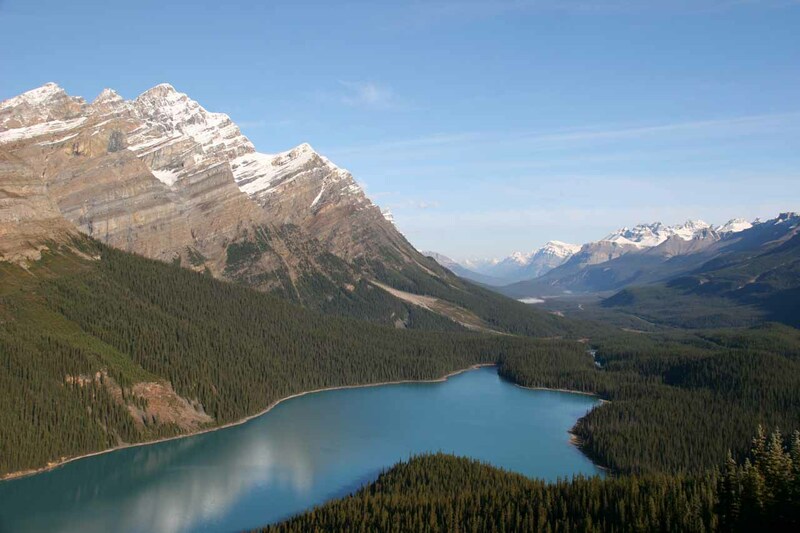 Contextually, it’s a little over a half-hour drive north of Lake Louise on Hwy 93 or a little over 75 minutes north of Banff taking Hwy 1 then continuing north on Hwy 93. 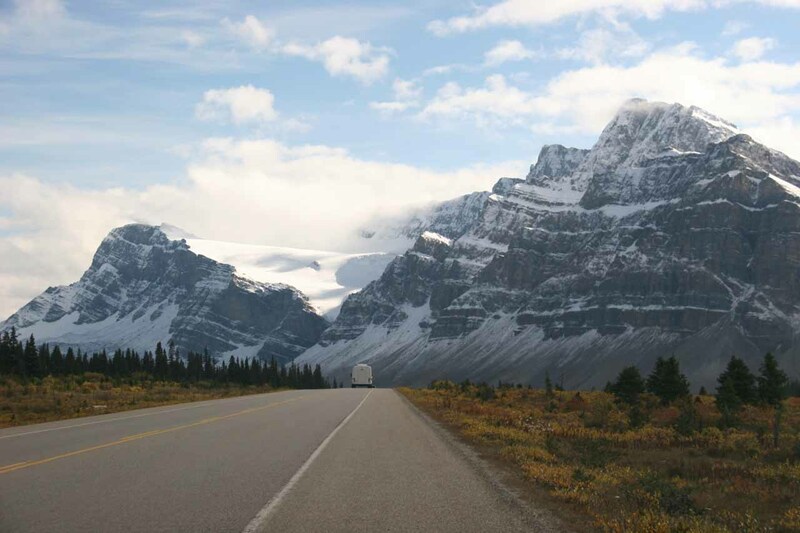 It took us longer to get between here and Banff because there was lots of road construction that really slowed down the flow of traffic. I’d imagine it wouldn’t take that long to cover this distance (96km or about an hour drive) when the construction’s complete. 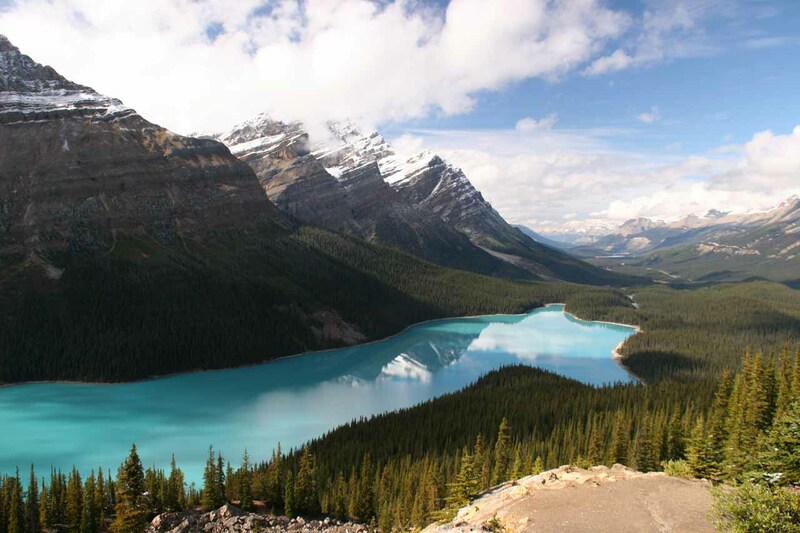 For additional context, Lake Louise was about 182km (2 hours drive) west of Calgary, 232km (3 hours drive) south of Jasper, and 469km (4.5 hours drive) southwest of Edmonton. 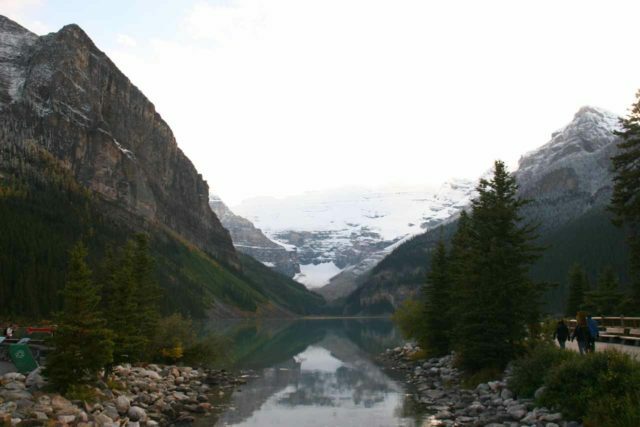 Left to right sweep of the scenic and tranquil Bow Lake before ending towards Bow Glacier Falls (hard to see) and the Bow Glacier.